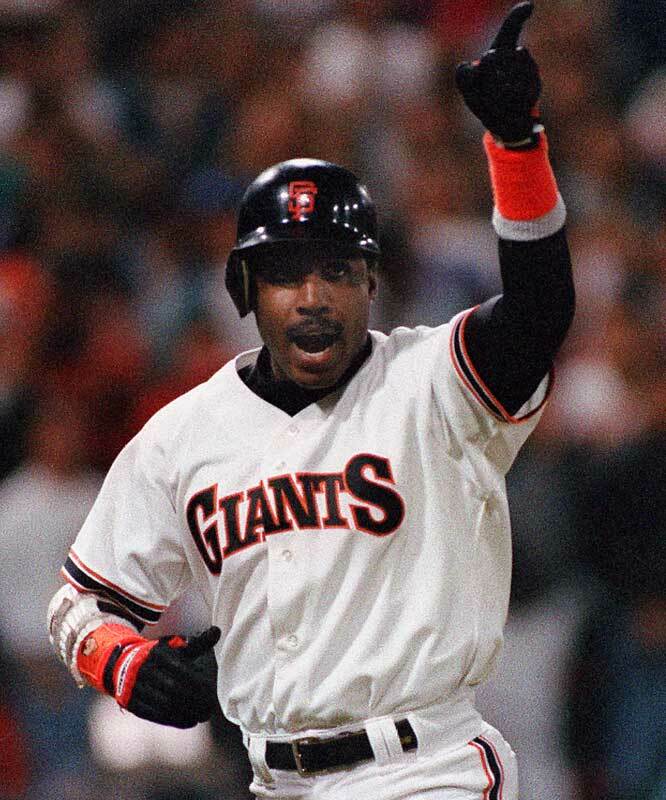 Back in 1993, Barry Bonds had all the makings of being just a helluva player. He entered his age 28 season and signed as a free agent with the San Francisco Giants. You can tell by looking at this video that we are traveling back in time here a bit. First off, look at old Candlestick Park on this April 12th, 1993 day. As a baseball stadium, it’s kind of beautiful. It takes you back. Then you can look at Bonds himself – before steroids devoured the first iteration of Bonds and replaced him with the mutant Bonds that broke the game and had a cheat code. Plus these Giants uniforms were sweet with the larger ‘G’ and larger ‘S’ instead of being replaced by the present day models that San Francisco wears. Bonds gets one in his first at-bat at Candlestick as a Giant off old Chris Hammond that never had a chance of staying in the yard. It was career home run #178. He slaps hands with his father Bobby as he rounds first and gets ready for a curtain call. The Giants won this game 4-3, and the Shooter Rod Beck got the win in this game.